Let’s face it, LEGO is very in vogue at the moment. There are LEGO products coming out almost too fast to count, with almost every franchise or intellectual property imaginable getting the “block” treatment. To be fair, a great deal of this can be laid at the feet of Traveller’s Tales, the video game developer that has brought us so many memorable hours collecting studs and solving puzzles, all the while laughing at the wry re-imagining of memorable movies and inherent LEGO charm. However, some would argue that these games have become stale, following the same patterns for years now. While this is true to a certain extent, it is also undeniable that the formula works. 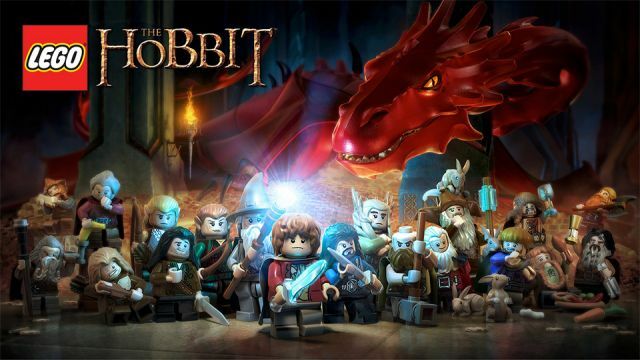 This time we return to Middle Earth for LEGO The Hobbit, which is, for better or worse, more of the same. As always, the controls are easy to grasp for anyone. The puzzles are simple enough, although the path forward isn’t always as obvious as it should be. You’ll quickly figure out who is required for which obstacle. 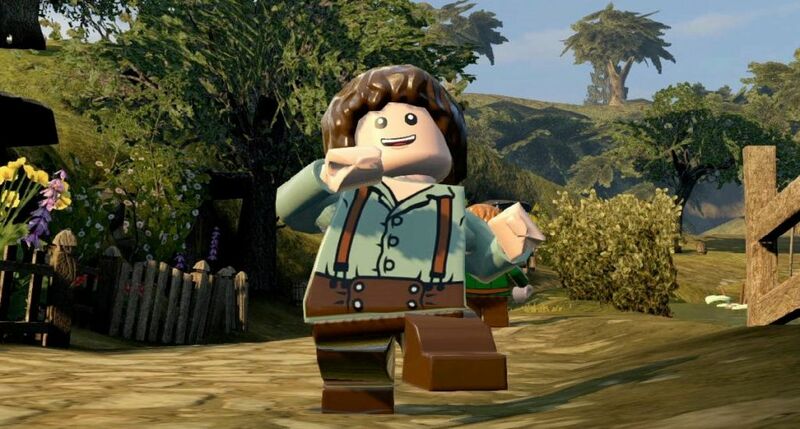 Bilbo can use his Ring to build LEGO wraith bricks. 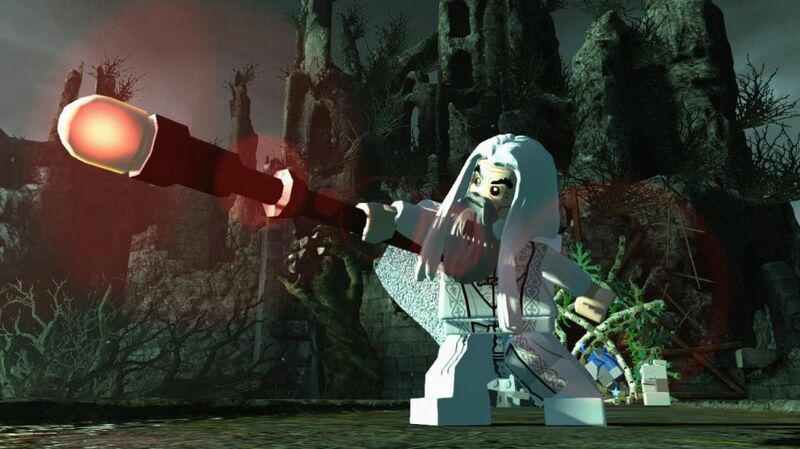 Gandalf can shoot blue bricks with his magic staff. 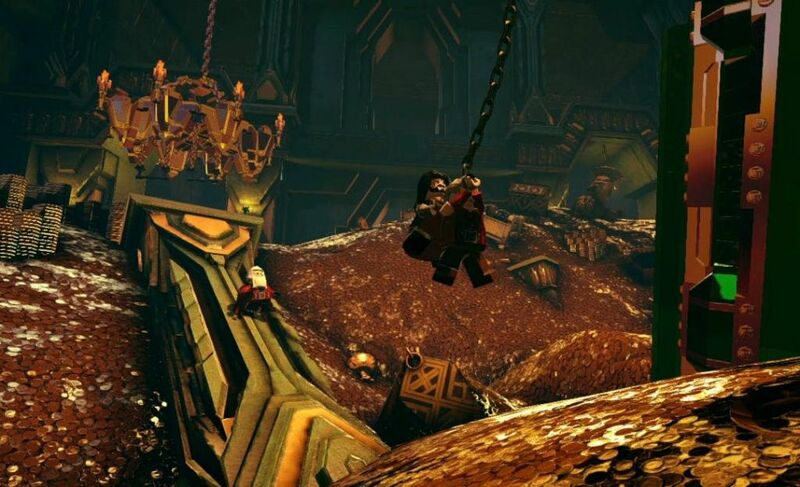 Some dwarfs can mine for ore, others use their axes to break through walls, and naturally you can feed Bombur and then jump on him to reach certain high places. This isn’t new by any means, but it’s important to learn who does what. You pass through familiar territory early on, but are soon immersed in new parts of Middle Earth previously unexplored. And there is a lot to explore here. As has become the norm, there are now side quests and lots of hidden areas to find. Running through the two movies is still a fairly lengthy experience (roughly 6 to 8 hours), but trying to get 100% completion on LEGO The Hobbit would be an achievement to be proud of! Another thing that has become part of the formula, for better or worse, is the fact that you really need to play the whole story mode and unlock the entire world before it’s really worth going back and replaying any of the levels. However, since there isn’t really a “hub” per se, this is less noticeable. You can feel free to explore the countryside at your leisure, always knowing you can follow the trail of glowing blue bricks like breadcrumbs back to the next level. The game looks fantastic on the PS4. The lighting is amazing and there are some phenomenal water effects in particular. If anything, the backgrounds are almost too real, making the LEGO figures and buildings stand out all the more by comparison. But I’ve said this in the past with other LEGO titles: you can only make bricks look so good. While the music is wonderfully balanced, I swear that the mixing on the lines of dialogue from the film isn’t always even. This is something that has bothered me before; LEGO games that use the actual lines from the movies themselves never sound right, or are out of order to save time. I realize this is me being nit-picky, but it’s jarring and always draws me out of the moment. 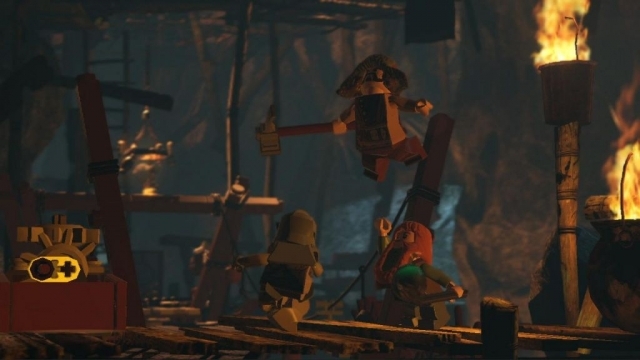 To be honest, I miss the more dry humor of the silent protagonists from the first games like LEGO Star Wars or LEGO Batman. There is an interesting addition that is equal parts fun and frustrating. At certain points you will be tasked with crafting an item with pieces you’ve collected along with studs during your adventures. But it doesn’t stop there. Once you’ve gathered all the requisite components, a mini-game will start. A LEGO build will begin and then come to a halt, waiting for you to pick the missing piece. You have eight choices, and can see the ghostly outline of the required piece on the diagram. The trick is that sometimes things are backwards or upside down. Oh, and did I mention there is a timer and a reward that diminishes with both the clock and any mistakes you might make? As I said, it can be fun, but you can just imagine how frustrating. I also found that these segments broke up the flow of a level, which will draw you out of the experience every time. However, one thing really bothers me… why this game was released now, after The Desolation of Smaug released in theaters? What about the third movie in the trilogy, recently renamed The Battle of the Five Armies? I’ve heard rumors that it might be a DLC, but as far as I know nothing has been confirmed. I’d be disappointed if it was a full priced game. I got LEGO The Hobbit for the whole adventure, there and back again as it were, not just two thirds of it. 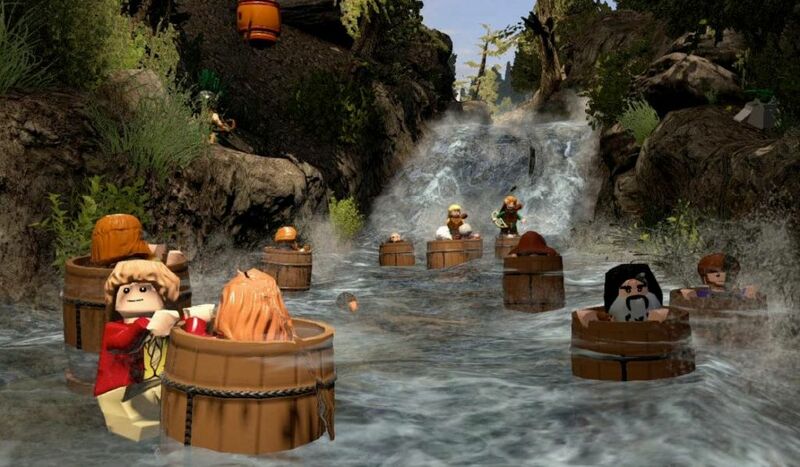 LEGO The Hobbit is ultimately par for the course. But the question becomes, is even-par enough to be worth buying or is more expected? More to the point, should more be expected? It’s hard to argue that Traveller’s Tales hasn’t done a brilliant job with the LEGO franchise, especially with their more recent installments, and that there simply isn’t much room for innovation. My response to that: look at how well the LEGO Movie did at the box office! I enjoy these games even if the formula has gotten stale, and I will keep playing them as long as I enjoy the source material. I can’t wait to see what comes out next! 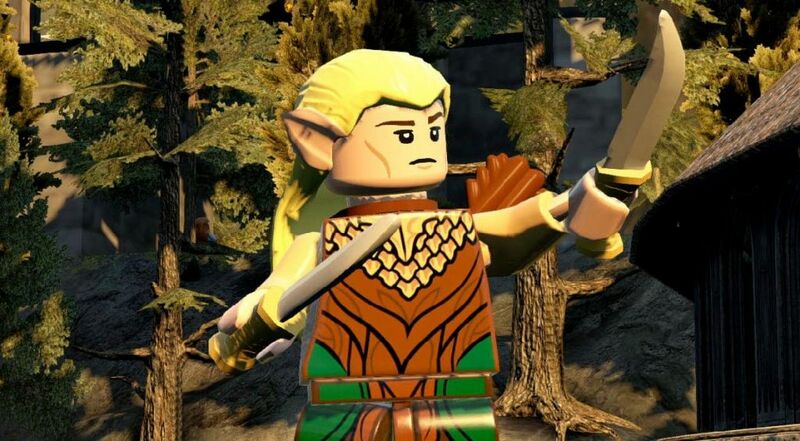 This review is based on a retail copy of LEGO The Hobbit for the PlayStation 4 provided by Warner Bros. Interactive Entertainment.